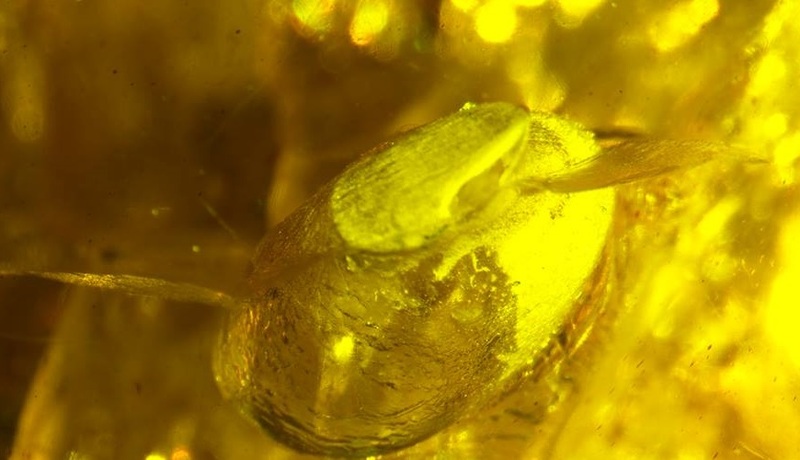 Of course it is preferred to have a full specimen perfectly preserved in Amber and as creatures get larger and larger it becomes harder to expect to find the whole animal in amber so fossil collectors look for parts of animals in the amber. 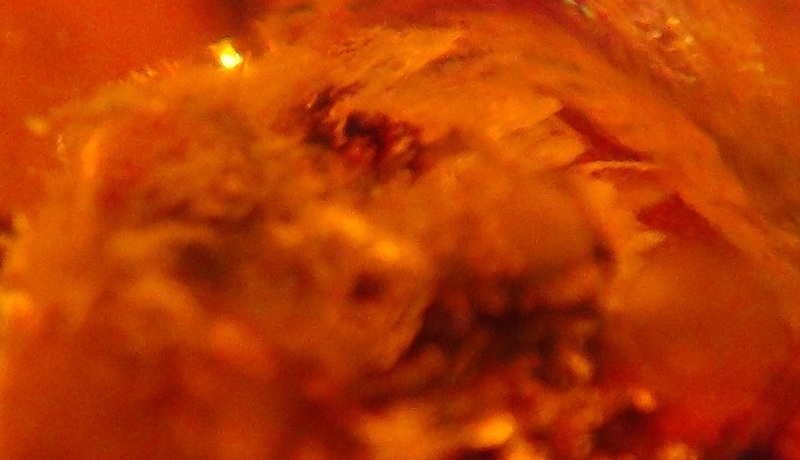 Perhaps the most common animal parts found in amber are feathers and lizard/snake/skink/newt skin. 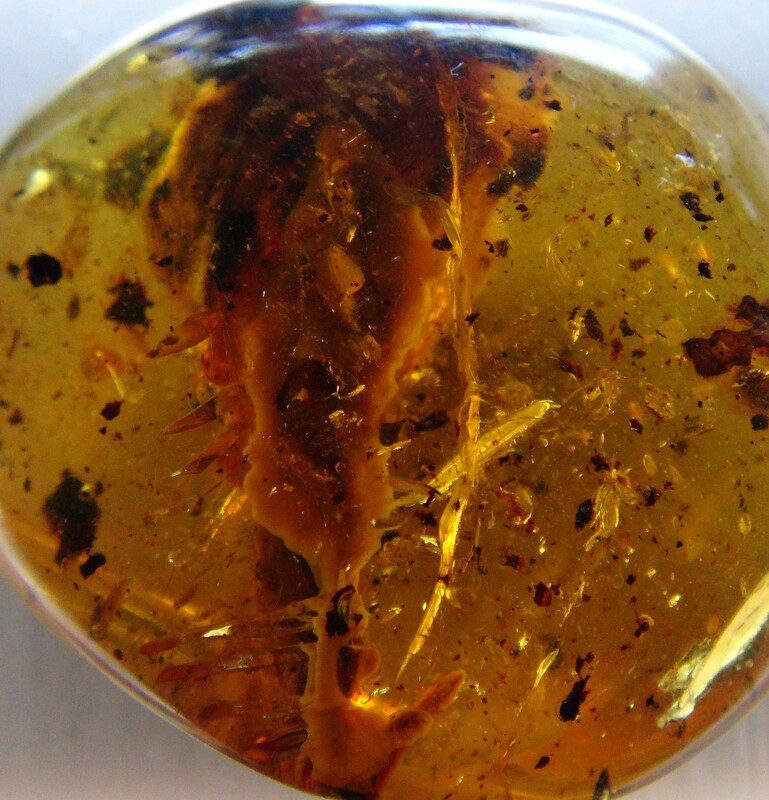 Many bird and animal heads have been found in burmite amber but their condition is often poor with decaying animal fogging the animal often beyond recognition unless special lighting is used. Although this is only a head we do have heads of similar sizes that come with complete bodies being researched. 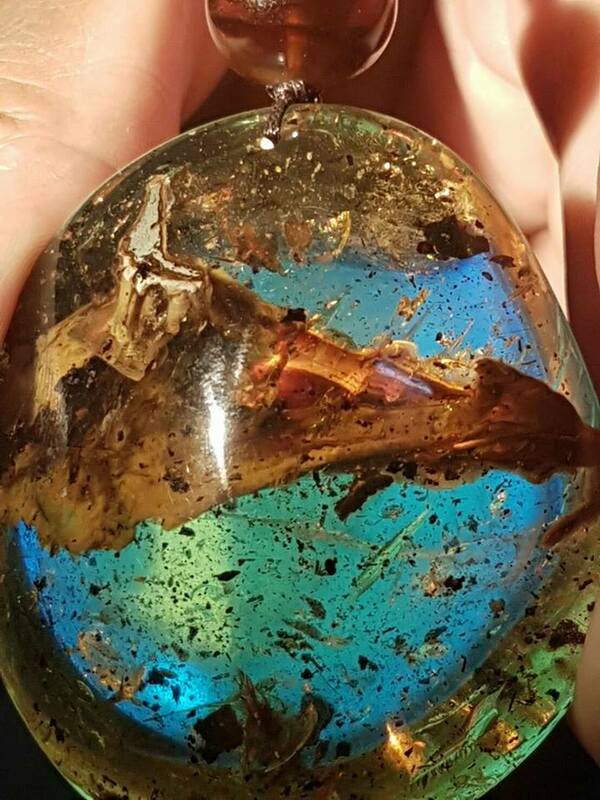 In the first picture (aerial view of the top of the head) shown you can clearly see the pterosaur teeth splayed outwards into the amber. Click here if you would like to see hi resolution topview without fluorescence. 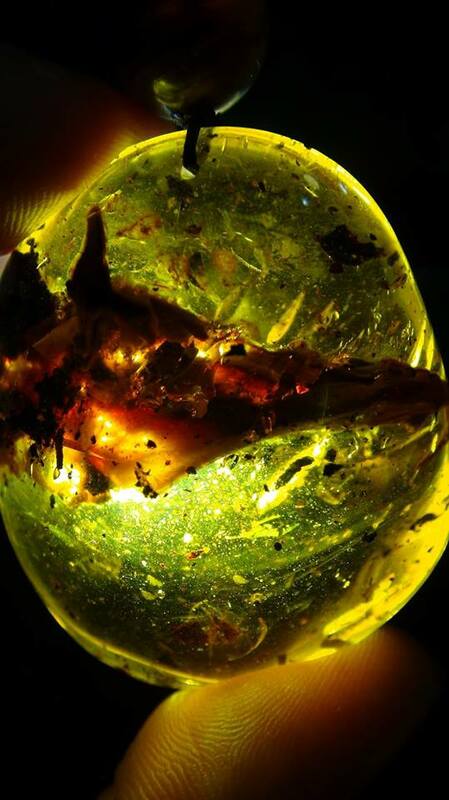 A close up picture of the pterosaur's's beak (ABOVE) shows its last supper caught in the tip. 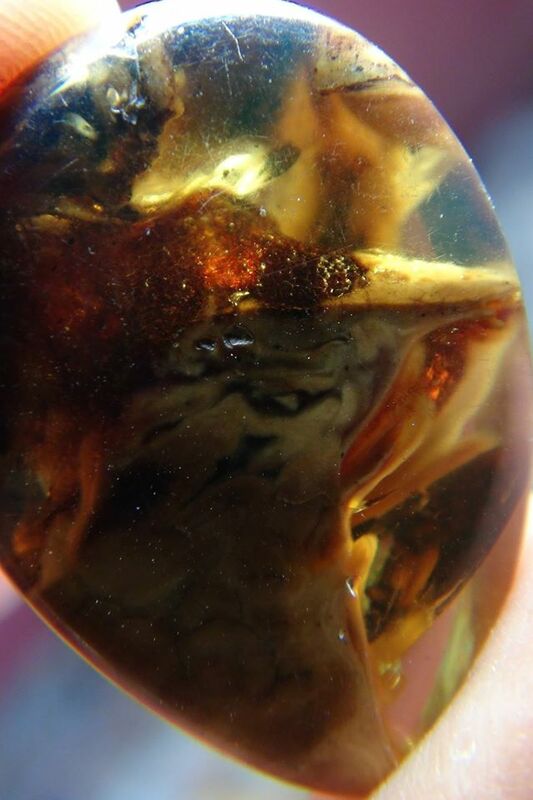 Now of course regular mobile phone shots of this piece of amber may not be enough to convince you so we have prepared professional imaging from studios and university laboratories using special lighting techniques that enable us to see everything from bone to muscle tongue blood teeth. 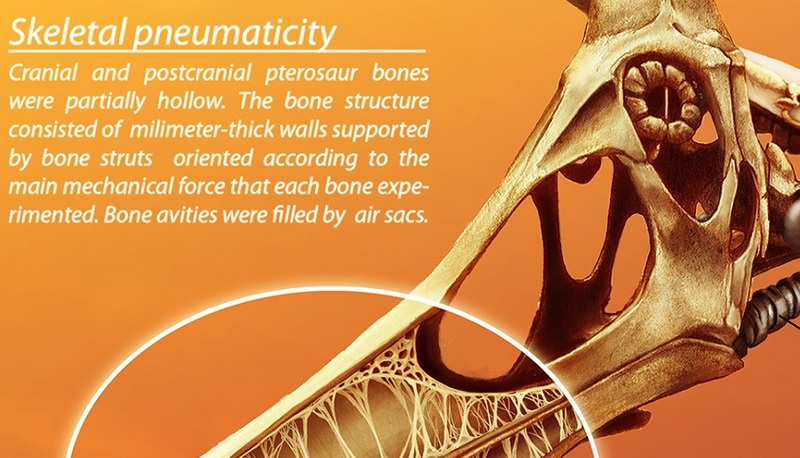 It might just be a primitive long-toothed bird or it might be a pterosaur take a look at further pages of evidence if you are curious.